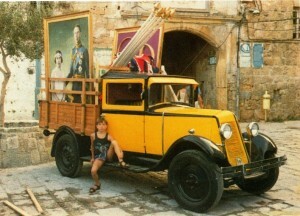 It is the oldest Renault vehicle in existence in Israel, dating some 81 years back. Only a handful of its type survived worldwide. Ever since it was re-built in the Eighties it had its fair share of publicity, and even featured in a movie. Yet in spite of the restoration and the press reviews, the details published so far relating to its identity and early history were few and far between. When I discovered the excellent pre-war Renault forum and the immense scope of data available there, I reckoned the small pick-up could be properly identified. I asked the owner to have a look at the car, which he kindly approved. The earliest evidence of Renault imports into British-mandated Palestine goes back to 1927. In a period-advertising lingo, importer Edmond Roch shows an NN roadster and calls the customers in. Roch was an Arab-Orthodox from Jaffa, and it appears that imports were very much laid back up until the middle of the next decade. In 1935, imports of the French manufacturer shifted to David G. Homsi, aka Daoud Homsi, also an Arab-Orthodox from Jaffa. Homsi was far more active than his predecessor but had to postpone imports in 1940, for obvious reasons. The Renault was not among the most popular brands at the time, as the local buyers preferred American or British makes. 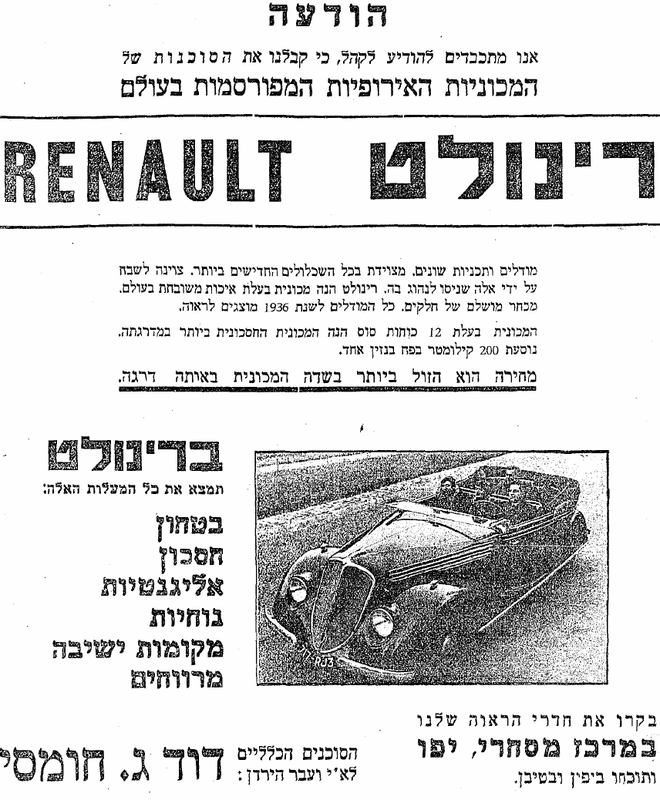 In 1957, the total Israeli park of Renault cars and trucks built during 1933-1940 amounted to a mere 27 units. Imports re-started in early 1946 with the Juvaquatre BFK4 which proved a success, and some 200 units were sold within two years. 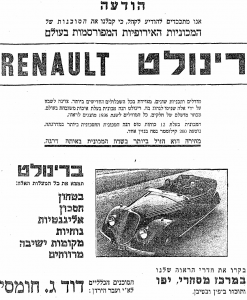 When hostilities began, Homsi moved to Syria, and in September 1948 Renault granted the import license to Moise Carasso, the Israeli distributor to this very day. David Homsi’s sons now run the Perkins engines distribution in Syria. The humble Renault shares its stable with British sports cars, each having a lot more flair. Its restorer and owner, Dov Grodman, has a three-decade-long experience in classics restoration and has managed to beautifully re-build derelict Jaguar and Bentley, among others. “This is no thoroughbred”, he says of the Yellow-Black French pick-up. “It was simple and cheap so that only a few made it to this day”. The pick-up ended its useful service many years ago, and was abandoned in an orchid grove’s pit building. Bought in 1983, it was brought back to life, using original parts and materials as much as was possible. “We have re-built the bed with oak wood, closely following the remains of the original one, including the rear lid hardware”, explains Grodman. The Renault had since featured in numerous reviews, as well as a movie. 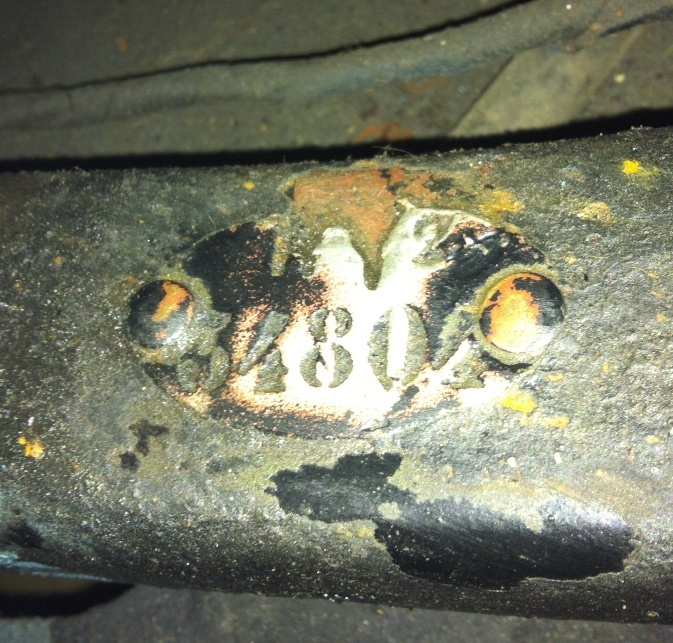 Two Renault identification plates are currently affixed to the pick-up’s firewall. But these originally belonged to a Dauphinoise Fourgonette R2101, assembled in Israel in the late Fifties. Luckily enough, the genuine oval production plate has survived. After cleaning decades-old oil residues, the numéro de fabrication can be uncovered. It is RY2-34804. Renault launched its Monasix in 1927. It was a relatively small car, aiming at the lower end of the market. Its six cylinder 1.5 liter engine produced a somewhat lethargic 26hp, which kept the prospective customers at bay. By summer 1932, around 40,000 units of the Monasix and its upscale variant, the Monastella, were produced. 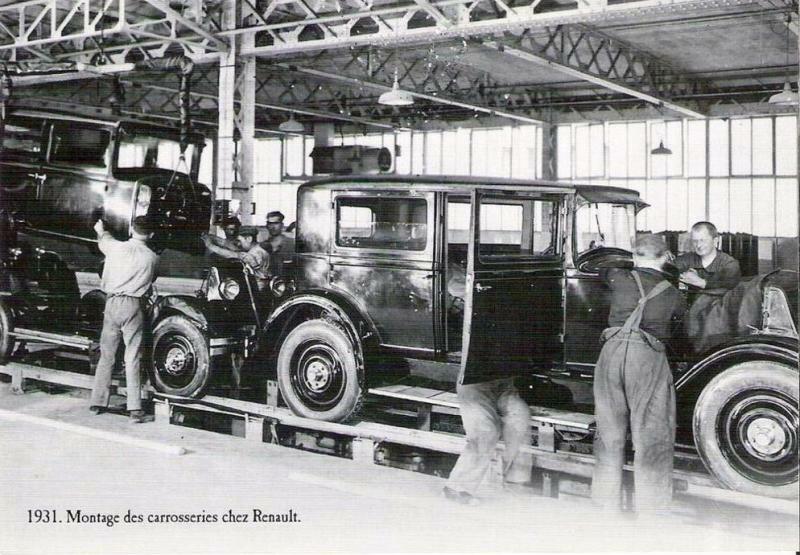 Renault also supplied some 4,600 units to the Parisian taxi fleet. The Monasix’s five incarnations were coded RY through RY4. In time, the radiator moved forward, and the unique Renault front of the twenties gained the more common radiator cooling slats. As it was chassis mounted, it was easy to offer a wide range of bodies. 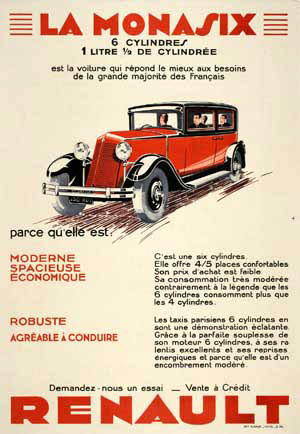 The 3G Monasix, RY2, was the most widely accepted: 20,290 units were manufactured between September 1929 and April 1931. 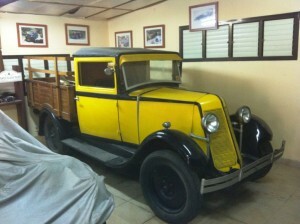 The excellent pre-war Renaults forum forum currently holds evidence to the existence of some 50 Monasix RY2. All reside in Europe, none is a factory-built pick-up. Grodman suggests there are pick-ups in Australia and Spain, but these are probably of another designation. 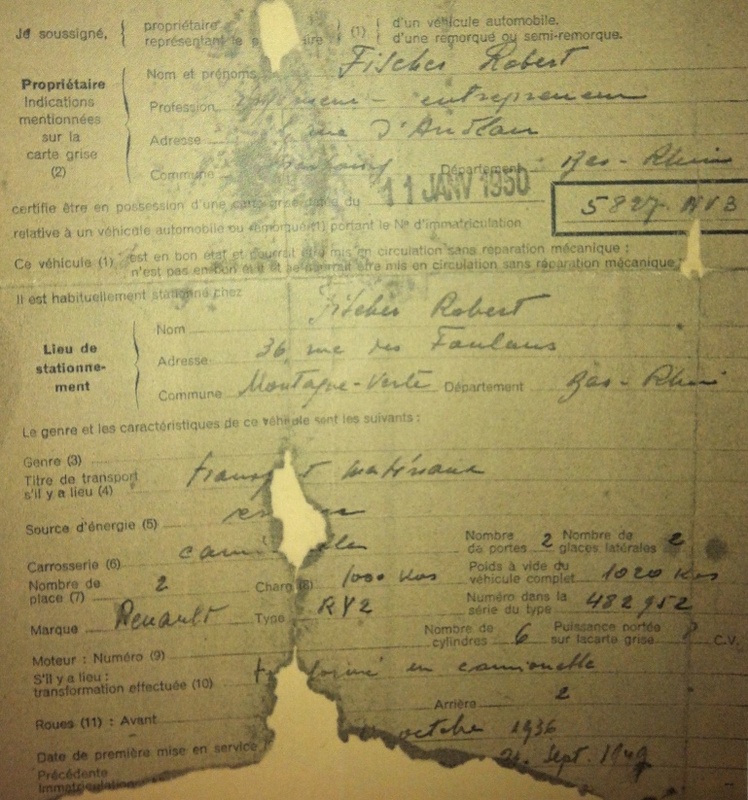 “Come on”, says Grodman, “let’s have a look at the documents I gathered while restoring the Renault”. 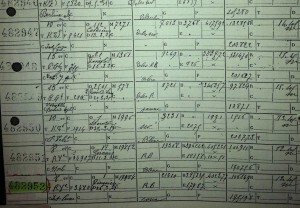 The first document is a photocopy of the Renault production log, detailing the specs and component sequential numbers for the vehicles leaving the assembly lines. The serial number found on his car fits in with chassis number 482952. This Monasix left Boulogne-Billancourt on Thursday, 26 March 1931. Its body style was “Int Luxe”, short for Conduite intérieure Luxe, or a closed (four-door) sedan, with the higher trim level. Exterior color was Rouge, red. The Renault dealer’s name, ordering this particular Mona, was not yet deciphered, but as sequential order number was “1”, the order must have originated from a small community. Tire supplier was Michelin. So how did this sedan emerged as a light truck? Another document in Grodman’s possession provides the answer. 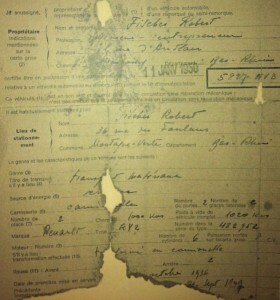 It is the French vehicle license from January 11, 1950. We may start the scanning of this torn document in section 10, which refers to a conversion a vehicle might have undergone. It clearly states: transformé en camionette, converted into a light truck. 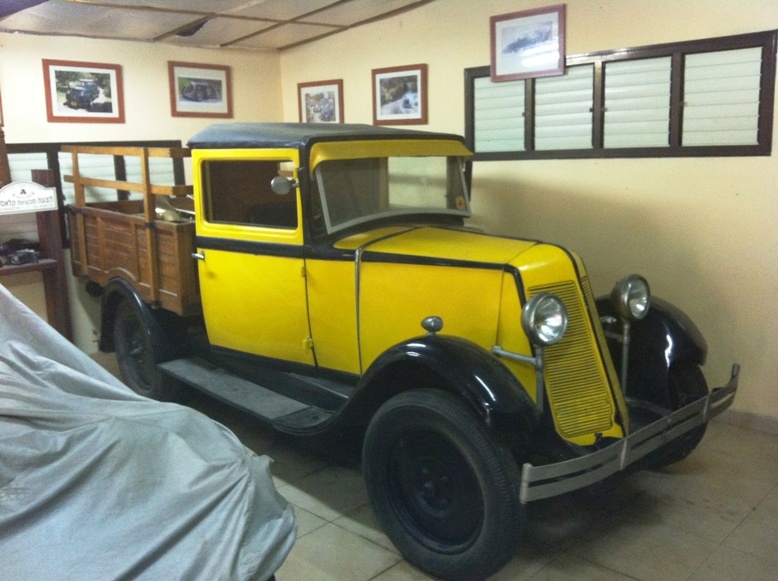 Camionette marchande was the then-nomenclature for a merchant’s light pick-up. 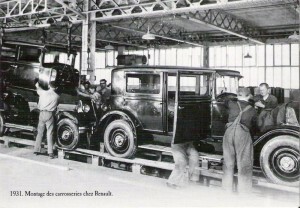 Conversion of old cars into pick-ups was fairly commonplace in France at the time. License document may hint this was done in September 1949. That is not the only interesting detail that can be asserted from the ages-old license. The owner as of January 1950 is Robert Fischer of 1, rue d’Andlau in Strasbourg, just by the city center. Fischer immigrated to Israel with this camionette, never bothering to switch to an Israeli plate and documentation. The French number 5827NV3 was allocated by the Bas-Rhin prefecture (Strasbourg being its capital) in October 1936, apparently when the Monasix was sold to a guy who lived in the area. 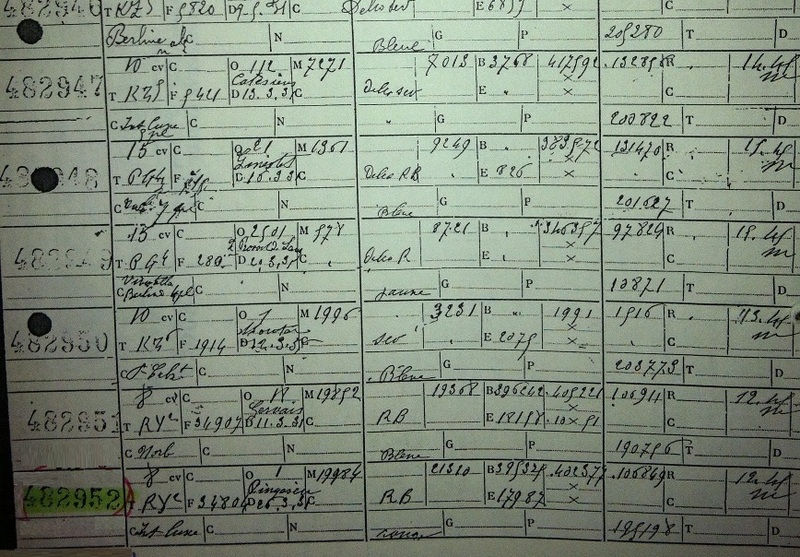 There’s even more to it: French license registration numbers were all shifted to a new system in the early fifties. commercial vehicles with gross weight above 2000kgs (our Mona’s is 2020kgs) were to undergo this change until June 1951. This never took place in this case, which tells us that Fischer together with his pick-up made it to Israel between January 50 and June 51. Did he buy it right after it was converted and then immigrated? That is an open question, at this time.